How To Build An Indoor Sports Facility? A recent article in Forbes hit the spotlight on the fact that youth sports is a $9 billion industry in the US. The popularity of sports has reached a new high among kids and young adults alike. This has led to many major and minor league sports teams to hunt for top-notch indoor sports facilities that offer space for training and league play. So, if you are an investor there is no better way to generate steady income than building an indoor sports facility. Not only will you be providing a platform for healthy entertainment for your community but it can also increase overall property values in your area. An indoor sports facility has to withstand rough weather conditions throughout the year. This is why you should choose steel as the primary building material. It’s a cost-effective material, and that has minimal future maintenance. 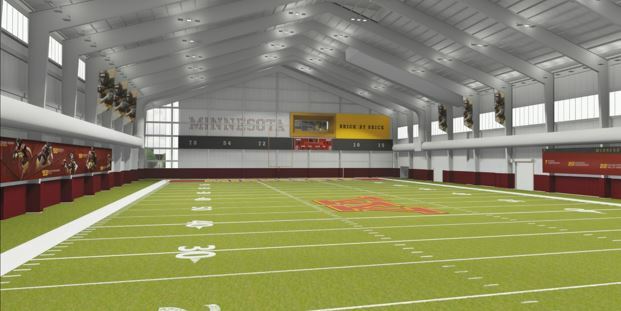 An indoor sports facility constructed out of metal will prove to be durable and versatile while being affordable and easy to maintain at the same time. Indoor sports facilities built with steel have three major benefits. They prove to be versatile spaces and are durable and affordable. What could be better than a structure that can be constructed in a short period of time, has a long service life and can be changed whenever it’s needed. Steel structures will make your sports facility an attractive space for public entertainment that can generate revenue both for you and the surrounding businesses. Another material that is great for the indoor sports complex is tension fabric. Tension fabric or tensile structures are created by stretching a translucent fabric cover over an aluminum frame or by using cables. The fabric is specially designed to be weather resistant and allows natural light to enter. In short, it is the perfect material that gives the impression of training outdoors and also saves electricity. Tension fabric is weather resistant so your training sessions can be held all year round! They’re highly customizable and can be designed to meet specific needs of the building’s structure. There’s no reason why you shouldn’t opt for this efficient and cost-effective material for your indoor sports facility. Now that we’ve discussed building materials, it’s time to see how you can maximize your profits. Running a successful sports facility depends on strategic programming and repeat customers. You should keep an eye on usage reports. Think about ways in which you can get people to come in during the off-hours. Don’t let any facility sit empty. Read more about KEVA sports center where they have youth programs for toddlers as young as 18 months and all the way up till 18-years. They offer a range of activities such as parent-toddler sessions, skill-building classes, birthday parties, summer camps, leagues and so much more. Any extra space is lent out to renters. Take inspiration from programs of other sports facilities and then develop yours. Sports facilities are fast becoming the most popular ventures for investors. Build a great space that attracts people of all age groups and is functional enough to host many activities. So, get started on your future as a successful entrepreneur by building an indoor sports facility in your neighborhood.